The newest additions to my camera body collection include a number of Sony mirrorless bodies. My current favorite for travel and landscape shooting is my Sony A6000. This small camera has been a welcome addition because it has great image quality while being incredibly small and light. As much as I love my small mirrorless systems, for my professional work I still use full-sized DSLR cameras. There’s nothing like having as big of a sensor as you can get (and I’m not talking number of pixels when I say that). If I could I’d be shooting medium format (and that day is coming) but for now I’m happy to be shooting a full frame DSLR. 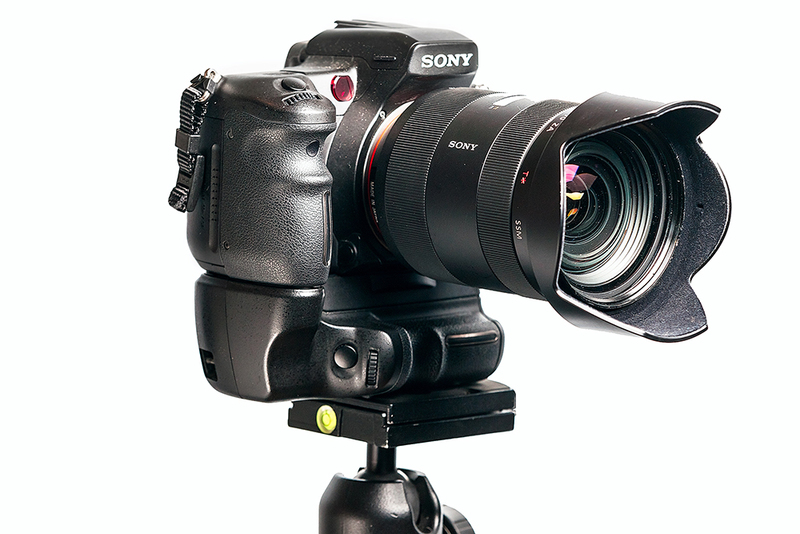 My primary body is a Sony Alpha 900 (24.4 mega-pixels full-frame sensor). It doesn’t have the features or the sophistication of what is now available from Nikon or Canon (or even the newest Sony’s) but for my jobs it is doing exactly what I require. I know it’s not the latest and greatest but I’m an old-school shooter that usually uses the center focus point and I’m rarely above ISO 800. I’ll occasionally play at ISO 1600 or 3200 thanks to the incredible noise reduction available in Lightroom 4 (and later) but for production shooting I’m rarely above ISO 400. I’m also a big fan of tethered shooting and with a plug-in I am able to see what I shot on my MacBook Pro instantly. My backup bodies are two Sony A700’s. This is an outstanding crop sensor camera (12.2 mega-pixels APS-C sensor) that’s allowed me to get some great shots before I picked up the A900. They rarely come out on a job but I always feel secure that they are waiting in my camera bag in case they’re needed. For scouting I use my iPhone 4S since it actually takes a really nice picture and it saves the GPS coordinates automatically. It’s also nice to be able to get a quick HD video to help me see an entire scene for later reference. And finally, I have some older point and shoot super-zoom cameras that I use to get production shots and behind the scenes pictures to share on the blog.